We are now into the fourth and final week of the preseason. Maybe I shouldn’t have called it the “worst week ever” and instead have dubbed it the “worst game ever.” The final preseason game is often as painful for the coaches as it is for the fans. The only goal is to keep guys healthy because let’s be honest, the main 53 are pretty much decided with few exceptions. The Steelers were ‘solid’ this past weekend and Mike Tomlin has to like to that but he has to be turning his attention forward as I’m sure all of us are. Matthew Thomas has to be making this team. His improvement has grown each game and he’s too athletic to not get him on the field for some snaps. When Ben Roethlisberger is rusty or coming off an injury, his throws are high. Case in point was Saturday and he addressed it as such. When the ball sails high it’s usually from not following through and trying to place the ball rather than throwing it. In Ben’s case it’s usually due to not getting his hips through. He’ll be just fine. Tyler Matakevich is a great special teams player. He should not be considered a starting linebacker however. It’s that simple. Terrell Edmunds is damn exciting to watch after a pick huh? Ola Adeniyi has done more than enough to make this roster. Why can’t Stephon Tuitt play like that every week? Mason Rudolph looked so much better this week than last. Good poise in the pocket, was accurate on his throws and showed some good escapability as well. 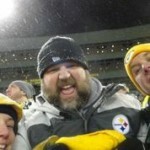 I have always liked Ramon Foster and always will but B.J. 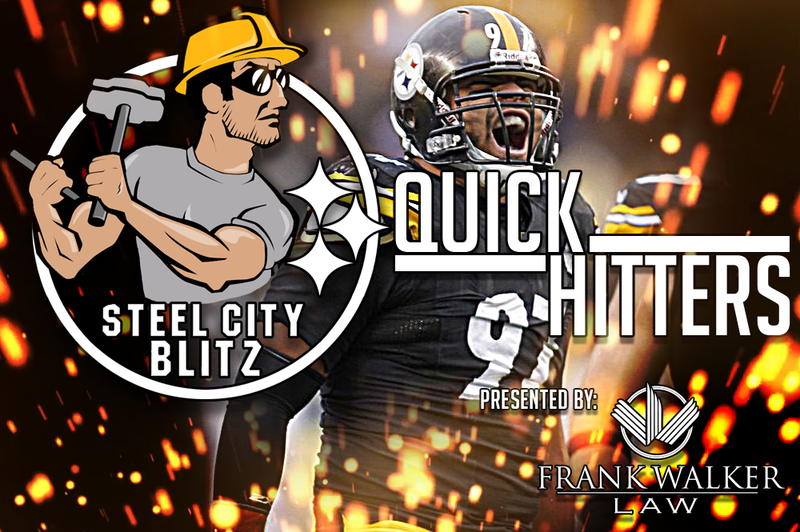 Finney has become an excellent guard and if he plays I don’t think the Steelers miss a beat. For more Impressions of the game here’s Ben’s piece. Tweet of the Day… Or maybe you should just stay off social media altogether huh? James Conner looks like an entirely different running back to me this year. Make no mistake, he’s never going to be in Le’Veon Bell’s category (unless we’re talking maturity and in that case it isn’t close) but the overall quickness and power in his game are significantly better than last season. Let’s put it this way, I’m much more confident in him now than I was this time last year. 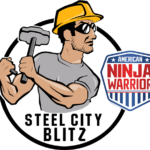 Tonight on the Steel City Blitz Steelers Podcast presented by 26shirts.com/Pittsburgh we’ll recap the win over Tennessee and start talking about some of the roster decisions the team is facing. I think a trade for an inside linebacker is a very real possibility. You’re already seeing teams make a deal or two in order to add a starter or key reserve. The bump in the road could be the need for a tight end if Jesse James’ back injury is bad and if Vance McDonald’s foot injury continues to plague him. Rocky Bleier: Citizen, Soldier, Steeler.